People with an N.D.E. often see themselves going through a tunnel on the way to another world. A. 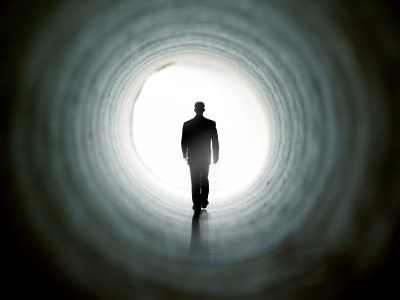 What are near-death experiences? Near-death experiences (as the name already expresses) are experiences that people get, when they are almost dead. This especially happens to people with a cardiac arrest or an other critical experience, by which they are very near to death. Often this occurs after an accident. But it can also happen to people who have come on the brink of death by a disease. Rarely near-death experiences also occur to people who are not in danger of life. In the experience their spirit leaves the body. Sometimes they see then themselves lying on their beds, while they feel nothing anymore of pain or illness. After that they can have the experience, that they are pulled up. Then, immaterial as they are, they are going straight through the roof and arrive in a sort of tunnel. At the end of the tunnel they see a bright light. They fly to there and come in an unknown world. That is often a world bathing in a brilliant light with an unprecedented beauty. They see the most beautiful colours, flowers, birds, landscapes, etc. They also see people. Those may be acquaintances of the past, who had died already. They recognize those persons clearly then. Other persons they do not know. It also happens that they see angels, and a person in an extra-bright light, whom they often interpret as the Lord Jesus. Sometimes they come in talk with that person. They get to hear for example, that they have to return to the earth. Sometimes they are allowed to choose for themselves whether they want to stay or not. Then they go back. (Those who stay can not tell it on earth later). They fly back through the tunnel and come back into their body. That is then a terrible experience for many. For their body was in a very critical condition, when they left it behind. Immediately they feel again the pain, the disease and/or the distress of the chest. Sometimes they perceive then also, that a doctor hits their face to revive them. This can fill them sometimes with anger. For the contrast can hardly be greater: First that inexpressible glory and then again that bitter misery! Picture 1 of these 2: Some go through a magnificent gateway to an unknown reality. Picture 2 of these 2: That other world can be experienced as a wonderful region of light, peace and gladness. Not everyone with a near-death experience experiences the same. For example, by no means everyone sees from above his or her own body lying. And not everyone sees a tunnel or angels. Also the one near-death experience is much more extensive than the other. But there are really similarities. In that other world one has a unusual clear consciousness! So it is totally different from a dream. Mostly one has soon forgotten a dream. If one does not write down the dream in the next day (if one can remember that), mostly soon one knows few or nothing of it anymore. But people experience near-death experiences as such special, that they know decades later still many or all details! Many find it later as problematic. They have the need to talk about it with others. 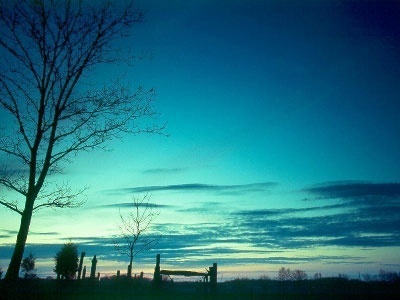 Yet many do not talk, or not for a long time, because they have the feeling that another will not understand. If they find then however after some periods of ten years someone who has understanding for it, they can experience it as a relief. 1. Madam Jang, an illiterate Chinese woman, died one and a half years after her conversion. On her deathbed she reported: "The Lord came into the room, took my hand and said: "Come with Me." A little later we stood before a pearly gate. It was the Gate of Heaven. Angels opened and we went inside. I saw many beautiful houses in beautiful colours. I saw thousands of angels in a great circle, who sang and made lovely music. In the middle stood the glory throne, the heavenly Father was sitting there. When I saw Him I became afraid, I scarcely dared lift up my eyes. He said: "You are allowed to go back for a while, but the 12th you have to come back to Me." Madam Jang's testimony brought hundreds of villagers to faith. Indeed she died on the 12th of the next month. 2. Many know the beautiful Christian song "Rock of ages". It had been composed by Augustus M. Toplady. He died in 1778 at the age of 38. An hour before his death he woke up after a short sleep. "Oh, what a delight," he exclaimed. 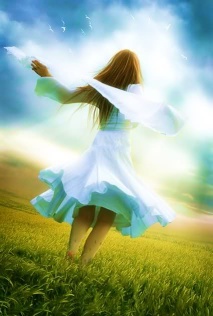 "Who can fathom the joys of the third heaven? What a glorious sunshine is spread out around me! I have no words enough to describe that. I know that it can not last a long time anymore before my Saviour comes to fetch me.... everything is light, light, the shining of His own glory. Oh, come Lord Jesus, come quickly." 3. Lilian Lee, a girl of ten years old, told her father: "Oh dad, what a nice sight! 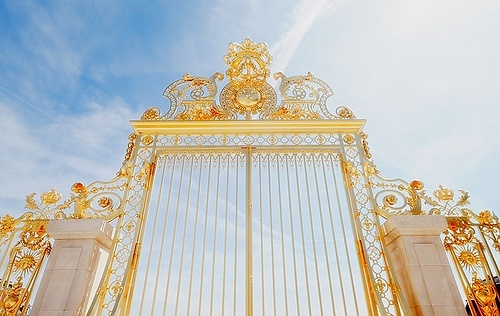 The golden gates are open and a mass of children flows out." Some time later she exclaimed: "She ran to me and started to kiss me and to call me with a new name. I can not remember what it was." Her last words were: "Yes, I come, I come." 4. Under local anesthesia the pastor's wife Julia Ruopp was operated on her throat. The doctors asked her to keep speaking and singing, so that they could locate easily the vocal cords. While she did it, she suddenly discovered to her surprise, that she could see from above herself lying, and also could perceive the group around the operating table that was busy with her body. She heard how a nurse startled exclaimed: "Doctor, her pulse disappears." Subsequently she told: "Then I started to go through something that seemed a long dark passage. On this trip, which took some time, nothing happened and I wondered how long it would take. Then I came above in an overwhelming wide area of light, a living light, that can not be described with words." 5. Madam Dorothy Whippo told a reporter, that she had left her body during a serious illness. She had met, after a journey through a dark tunnel, her father, brother, sister-in-law and uncle, who all had already deceased before. Her father had called her in his life always 'sister' and asked her in this reunion: "Will you come and sit with us, sister?" 6. Many know the book "The cross and the switchblade" by Pastor David Wilkerson. His father-in-law, Rev. Work, lay in 1938 in coma, after he had broken his neck by a fall from two storeys high. In that state he was aware, that two angels, dressed in bright light, kept watch all night over him. 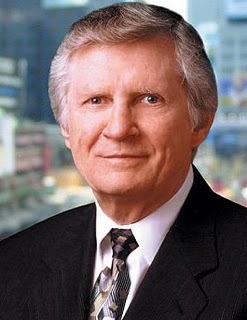 The well-known American preacher David Wilkerson. He did much for drug addicts and gangs of youths, to bring them to Christ. On Wed. April 27, 2011, at the age of 79, he left this earthly life. 7. Madam D. fell into a coma. When she regained her consciousness, she told that Mr. B. had just died, because she had seen him entering the heaven. She had impossible been able to know of the death of Mr. B. Enquiries proved that the man had indeed deceased, and on the same time, that she had seen him during her coma. 8. 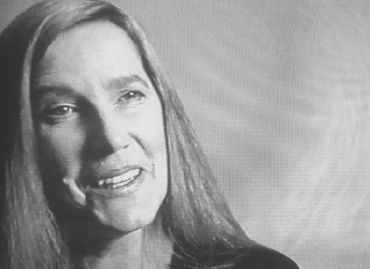 While she was under anesthesia for surgery, a certain Judith Reeves saw how two angels carried her through valleys and over mountains and seas to a shining light. Before the gate of a white heavenly city she saw her mother standing, who fifty years earlier had deceased. She looked like a young woman. 9. Many people who have had a N.D.E. are not able to deal with it afterwards. They also feel not to be understood by the environment. This can be because they themselves did not believe in an afterlife. Or because the people of the area do not believe. Even Christians can respond negatively to near-death experiences of others. (Fortunately they do not all!) Someone told: "I knew nothing of N.D.E.s, I thought that I was the only one and I had the feeling that others thought that I was crazy." 10. Another told: "I could not speak about it, otherwise I was brought to an institution." William Pope, an English ex-Methodist, called out on his deathbed: "Oh, the burning flame, the hell, the pain I feel. Oh, the hell, the torment, the fire inside me. O eternity, eternity. Always having to live with demons and damned spirits in the lake of fire, that must be my fate, and it is a righteous fate. I want nothing others than the hell! Come, devil, and fetch me!" 12. Other people may experience the hell otherwise, for example as a river that makes them drown. Someone who had made fun of the faith said: "Look how the water rises. Soon the river will engulf me. I have never believed in a hell, but now I believe. Oh, how terrible!" 13. Widely known became the near-death experience of the 35-year-old Pamela Reynolds, because her experience was so extensive and because it is well documented. Picture 1 of these 2: Pamela Reynolds. 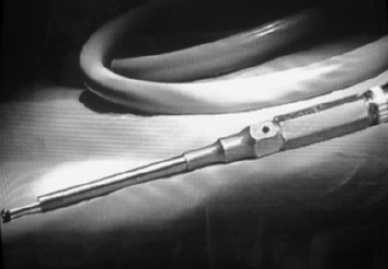 Picture 2 of these 2: The bone saw which was used during the operation, and which Pamela during her N.D.E. saw from above, while her eyes were covered. She also saw herself lying. It was my uncle who brought me back down to my body .... I came back into my body and it was like diving into a bath with ice water. It hurt so much .... I think that the death is an illusion. I think that the death is really a very filthy lie." (Pamela meant that it is a lie to state, that everything ends with the death, as if there would be no hereafter). 14. A Danish pastor, returned from the brink of the death, expressed his feelings thus: "It seemed to me like a pain, a disappointment, to return to the life. That feeling remained for years. Yes, actually I have never overcome it. I could never still feel so at home in the world as before. Often I detect nostalgia for that morning, in which the mist will rise and I will see Him face to face." Nostalgia for what one has seen in an N.D.E. can persist for years. How do people, who do not want to believe in another reality, deal with such stories? They invent all kinds of ideas to pull these things inside the earthly sphere. So they state for example, that such experiences come from an oxygen deficiency in the brains. This would make people going to hallucinate. But this explanation does not hold. For the near-death experiences occur precisely, when there is no brain activity anymore. And hallucinating is just a product of brains, which have as it were bolted as a startled horse. Others thought of the possibility of too much carbon dioxide or specific chemical or electrical reactions in the brains. But such explanations are also not valid for the same reason. Nor near-death experiences are dreams. For even in dreams there is brain activity. Moreover the awareness of N.D.E.s is untold much brighter than in dreams. Furthermore many elements of N.D.E.s are verifiable. Pamela saw from above the medical instruments that were used in her surgery. And she heard what the doctors and nurses said to each other. And all that was true, while her brains did not function anymore at all, when those things took place. Another perceived during a near-death experience, that a knowledge had recently deceased. And that proved to be true. The cardiologist Pim van Lommel gives very complicated explanations for near-death experiences in his thick book "Consciousness beyond Life". He refers to the quantum physics and speaks much about the so-called non-local space. In this space there is no time and no distance, and everything has been connected to everything. As a result all these phenomena are possible, according to him. But is he right? If we have enough imagination to explain the reality around us totally and completely different than we would do with our common sense, then ultimately the strangest things will fit in that. why should we however not believe simply in another world, which is a spiritual world, so that we can not perceive that with the 5 senses of our mortal body? The evidences are piling up! Why should we still continue then to explain everything in a strange, unnatural and illogical way? Why would we not just believe in what the Bible tells us? In the light of the biblical truths everything becomes crystal clear! Most near-death experiences are entirely consistent with what we can read in the Bible! Who however exactly studies the supernatural things, while in prayer asking for God's help, will find out what is the matter. The devil is sometimes also involved with his demons! In the article about the miracles has been explained already, that the devil does also miracles to seduce the people! And in the Bible, in 2 Corinthians 11: 14, is written that Satan (=the devil) transforms himself into an angel of light! And you may believe that, he is able to do that well! He has billions of servants and thousands of years of experience. If possible he misleads and deceives the people, so that they will not believe the truth of God anymore! His ultimate goal is, that people as much as possible come into the hell. That is why the Bible calls him a murderer! So let us be sharp of mind and see through his tricks! When a patient becomes brain dead and his or her spirit leaves the body, that spirit comes into the spiritual world. But that world is not automatically equatable with the heaven, where God Himself dwells. Also the kingdom of the devil and his demons belongs to the spiritual world. There the devil can pose before a human mind as an angel of light! (This does not imply that someone, who sees in a near-death experience a light figure, always has to do with the devil. Many meet in such an experience truly the Lord Jesus or an angel from God. But it is also possible that he is the devil, for the devil is the great imitator of God). Anyone who still doubts the truth of this idea, should know that many near-death experiences have a bad after-effect on the persons involved. When someone has in a delicious near-death experience really a meeting with God or anyone from heaven, then he or she will experience blessing by that in his or her further life. The love for God and the fellow men will be strengthened, as well as the confidence of faith, the inner peace and the inner gladness. Also here is true: The tree is known by the fruit! But many people get after a near-death experience suffering of unpleasant symptoms, such as an unwanted clairvoyance. This is the same clairvoyance, which also occurs in the occult world, that is: The world in which the devil and his demons do their miracles! When this occult charge occurs, this gives an additional confirmation, that the person, who has had a near-death experience, had been in contact with the powers of darkness. (So the first indication of this is the content of the N.D.E., when it contradicts the Bible. Besides let us not say too quick that something is against the Bible. Maybe some people find it strange, when children run to each other and kiss each other (see witness no. 3), but there is nothing wrong with that! However the case is wrong, if someone meets in a N.D.E. in the spiritual world a well known occultist, who is going to give education or instructions! When an unknown light-figure says things that contradict the Bible, for example about reincarnation, then it is also wrong). The fact that some near-death experiences are misleading will in every case not say, that every near-death experience must be judged negatively. On the contrary! Deeply believing people received by that already a foretaste of the eternal glory. 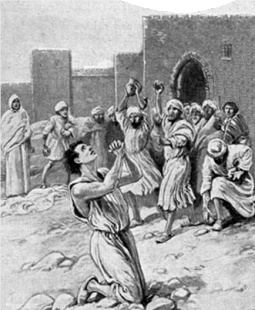 In the Bible we read for example also of Stephen, who was stoned. Before he died he saw the heaven opened and the Lord Jesus standing at God's right! In the later church history a martyr experienced the same. When Stephen was stoned he saw Christ in an opened heaven. Conclusion: We may be thankful that the near-death experiences give such clear confirmations of the biblical truths. Who would still be able to believe now, that there is no spiritual world besides the visible world? Who could still say now: "Dead is dead. With the death all is over."? But on the other hand we can never trust blindly on near-death experiences! God has given us His Word. We may and must trust on that, if we want to have a reliable guide to know God better, and to find the way to the eternal salvation! With "fearful" not the people are meant, who are sometimes a little afraid. For then everyone would have an unhappy end. Another translation has "cowards" and then it becomes already a little more clear. Here is spoken about people who out of sheer cowardice do not obey God, but the devil. This can be made even more clear by mentioning North Korea as an example, or Germany in the Second World War. Some participated in the crimes of Hitler for not to be punished themselves. So they committed wickedness because of cowardice. But God asks of us humans to believe, to trust and to obey Him, no matter what happens. Then He wants to assist us with His love and eventually we receive the eternal life! Finally you can watch a movie about a near-death experience. (Takes about 17 minutes).